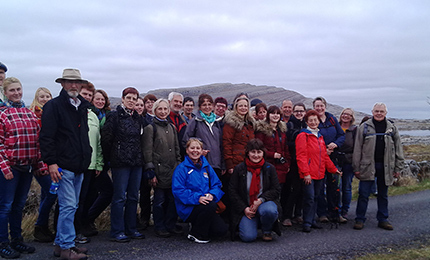 Your group will arrive in Ireland and be taken to the hotel, ready for dinner and an overnight stay. Day 2 – The group will leave the hotel after breakfast and will embark on an exciting tour of Dublin city – taking in all the many historical, cultural and architectural attractions the capital has to offer. Next we head towards the North West, stopping en route at the Marble Arch Caves where guests will enjoy the chance to explore a fascinating natural underworld of rivers, waterfalls, chasms and cave formations. We’ll then travel to Donegal to take an enjoyable cruise on the Donegal Bay Waterbus, before checking into the hotel for dinner and an overnight stay. Day 3 – After breakfast the group will set off for Slieve League, to enjoy the fantastic sea views of the highest sea cliffs in Europe. Then it’s on to Dunlewey Centre and a step back in time to learn the history of the area, including a demonstration of spinning and weaving. A little later, we’ll travel to Glenveagh National Park, where the group will take a guided visit of the Castle before returning to the hotel for dinner, entertainment and an overnight stay. After leaving the hotel we will meet with a local sheep farmer who will provide an interesting demonstration of traditional Irish sheep dogs at work. Afterwards, we’ll take a drive along the beautiful and rugged Wild Atlantic Way, stopping to take photos at beautiful Mullaghmore, before going on to Sligo for lunch and a little shopping. The highlight of the tour is that evening – when we check into an 18th Century Castle for dinner, light entertainment and an overnight stay. We say our farewells to the castle and make our way to Galway – to enjoy the energy and lively street culture of this vibrant city. 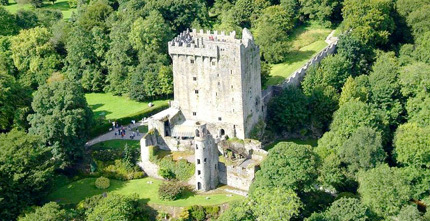 From Galway it’s on to Bunratty Castle and a chance to explore the Castle, grounds and Folk Park. Later in the evening we will check into the hotel for dinner, entertainment and an overnight stay. Day 6 – The day is spent enjoying an exploration of the Kingdom, beginning with a drive to Dingle – with lots of photo opportunities along the way. We’ll return to the hotel for dinner and enjoy a fun-filled evening at the Greyhound Stadium before retiring for the night. Day 7 – Something completely different this morning! The group will enjoy a trip on the famous Killarney Jaunting Cars (horse and carriage). Afterwards we will take the legendary route around the beautiful Ring of Kerry, with lots of time and stops for photos as we go. After returning to the hotel for dinner, the group will be treated to an enjoyable evening of traditional Irish music. Departing the hotel the group makes its way to the medieval stronghold of Blarney Castle, which dates back to 1446. From there we drive to Cork to visit the famous Jameson Distillery and learn how the brewing process is completed while also sampling some whiskey. As the day closes, we continue on to Waterford to check into the hotel for dinner, entertainment and an overnight stay. Leaving the hotel, the group travels to the Dunbrody Famine Ship – an authentic reproduction of an 1840s emigrant vessel and one of the premier tourist attractions in the South East of Ireland. 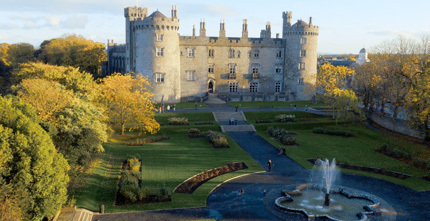 Next we visit the regal Kilkenny Castle, built in 1195 – with time allowed to take in the beautiful gardens. Afterwards we will return to Dublin for some free time in the city – to shop, explore or just relax – before going on to the hotel for dinner and an overnight stay. We begin the day with a traditional ‘Full Irish’ breakfast in the hotel, before the Guide and Coach Driver takes the group back to the airport for the journey home.